This free show features a nine-piece swing band, tight four-part harmonies, and a trip back in time to the 1940s radio era. Hear all your favorite holiday songs during A Big Band Christmas Dec. 15 in Rancho Mirage. Making its Rancho Mirage Amphitheater premiere Dec. 15, A Big Band Christmas features a nine-piece swing band, tight four-part harmonies, and a trip back in time to the 1940s radio era. Sip hot chocolate while being entertained by vintage commercials, letters to and from the boys, and all of your favorite Christmas songs all backdropped by the gorgeous San Jacinto Mountains. Always a holiday favorite, A Big Band Christmas was written and produced by Joshua Carr and his partner, Ray Limon of LimonCarr’s Desert Theatricals. 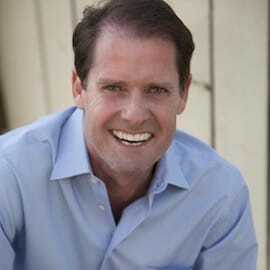 Recent transplants to Rancho Mirage, LimonCarr has been wowing audiences with their productions in Orange County and San Diego for over 20 years. Carr began his career as an actor/singer and added producer/musical director/conductor shortly there after. He has mounted over 300 events including Broadway musicals, variety shows, tribute bands and celebrity appearances with Mitzi Gaynor, Debbie Reynolds, Shirley Jones, Rich Little, Cloris Leachman, Vicki Lawrence, Jo Anne Worley, Rex Smith, Renee Taylor and Joe Bologna, Debby Boone, Cathy Rigby and Michael Learned. This year Carr puts on his musical director/conductor hat again while also showcasing his talents on stage as a singer/actor in A Big Band Christmas. Choreographer and director Limon’s career as a dancer and choreographer is just as vast and impressive as Carr’s. Four time Craig Noel award nominee for direction and choreography, Ray has directed over 300 productions across the country including South Pacific starring John Raitt, Christmas with Carol Channing at the Agua Caliente Casino in Palm Desert, and Liza Minelli’s Men alive Concert at the Orange County Performing Arts, Center. 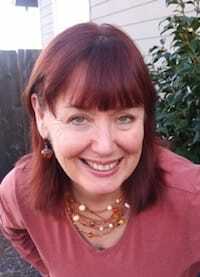 Ann Peck McBride, the award-winning host of KMUZ Radio’s Theatre Talk and the Celtic Music Hour, who has a long list of Southern California musical theatre credits. She has also performed in regional theatres and touring countries across the United States, and was in the Broadway company of Annie. 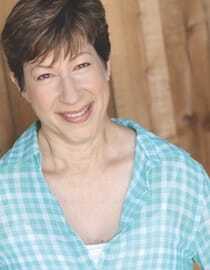 Danny Michaels is recipient of 2 Ovation Awards, 8 StageScene LA Awards, 4 Inland Theatre Awards, and a Drama-Logue Award. Some of his performance credits include Will Rogers in The Will Rogers Follies, The Band Leader in Swing, Lumiere in Disney’s Beauty and the Beast, and “Underling” in Drowsy Chaperone (opposite Sally Struthers). Lisa Dyson’s most recent credits across the Southland include: Cumie Barrow, Bonnie & Clyde; Old Woman, Candide; Lizzie Phagan, Parade; Rona, Spelling Bee; Emma Goldman, Ragtime; Mama, Kiss of the SpiderWoman; and Chaperone, Drowsy Chaperone. Joshua Carr has performed in over 150 productions making a career of playing Tony in West Side Story, Frederic in The Pirates of Penzance, Joseph in Joseph and the Amazing Technicolor Dreamcoat, Will Parker in Oklahoma, and the Scarecrow in The Wizard of Oz. This is just the beginning of Rancho Mirage’s new love affair with music. LimonCarr’s Desert Theatricals will also be bringing ticketed events to the amphitheater in January and February 2019. First up, January 12-13 will feature the show, Forever Sinatra, an interpretation of the crooner performed by Rick Michel, one of Las Vegas’ premier singers and impersonators. In February, the Amphitheater welcomes legendary performer Hal Linden in his show Barney and Me Feb. 9. 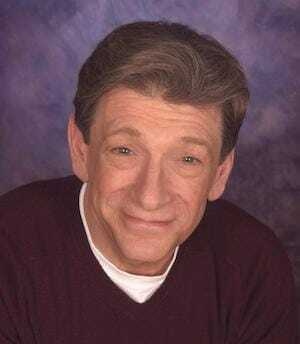 Most know Linden as the star of iconic 1970s TV show Barney Miller, however Linden had a big band career prior to that, and will wow you with his vocals, his clarinet, and his storytelling. 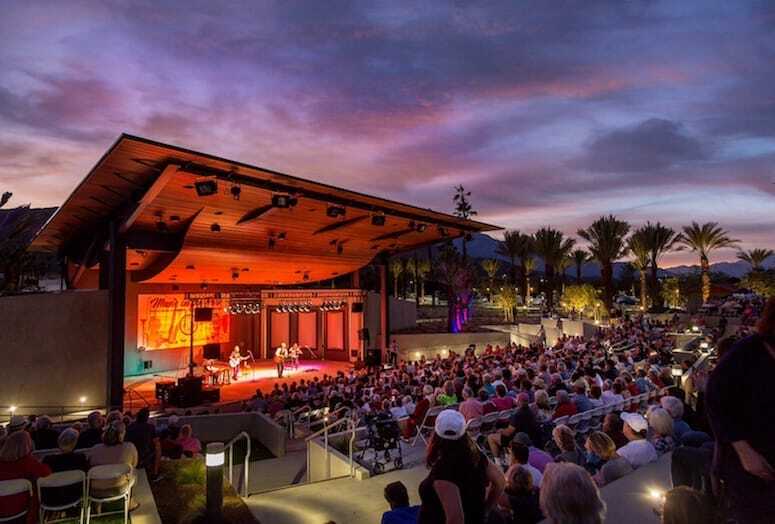 Rancho Mirage Amphitheater, 71560 San Jacinto Drive, Rancho Mirage, 760-770-3224. For information and tickets for A Big Band Christmas, Forever Sinatra and Barney and Me, visit desert-theatricals.com.